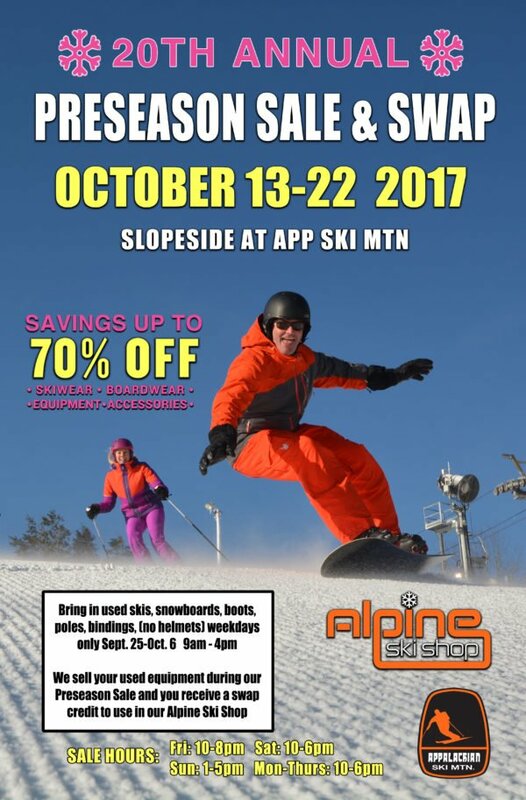 Appalachian Ski Mountain is set to host their 20th Annual Preseason Sale next week to get you ready for the upcoming season. 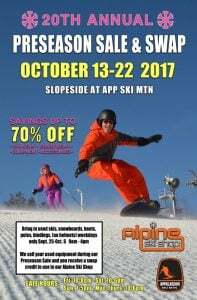 The sale kicks off on Oct. 13 slopeside at Appalachian Ski Mountain and is set to run for 10 days through Oct. 22. During the sale, you will find everything from Skis and Snowboards to Helmets, Accessories, and Children’s clothing, all discounted up to 70% off. You will be able to find name brands like Burton, 686, Mountain Hardwear, Spyder, Obermeyer, Nordica, Roxy, Salomon, K2, Atomic, Rossignol, Volcom, Never Summer, Ride, 4Frnt, Line, Northwave, Gnu, Libtech, and more. 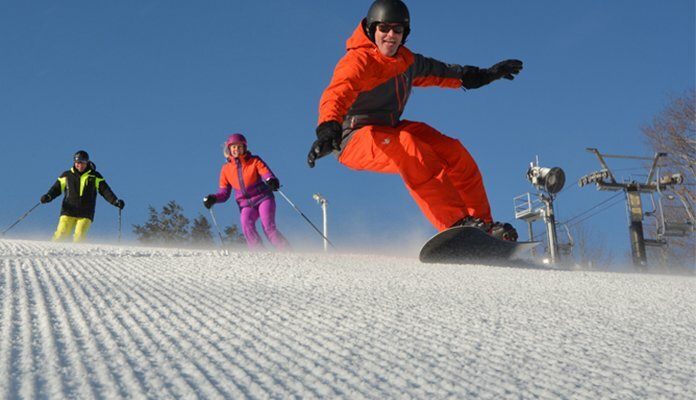 During the sale, a 2017-18 Season Membership will be raffled off, and Appalachian will also feature a Ski/Snowboard Swap during the sale where you can buy and sell your used equipment (Skis, Snowboards, Boots, and Poles).